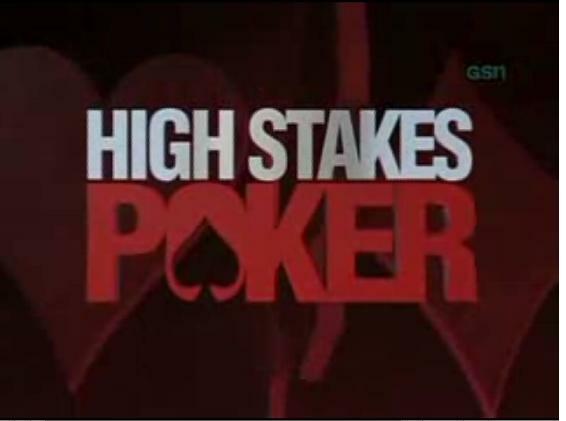 Once in a while we’ll be discussing some of the hands that take place on this season of High Stakes Poker. But first, let’s discuss new host Kara Scott. Scott, known to those who watch the WSOP as “Kara Scott Chad” – so named by admirer and fellow color commentator Norman Chad – replaced A.J. Benza as Gabe Kaplan’s new broadcast partner. Honestly, while I can’t argue that it’s a lot more pleasant to see her onscreen (no offense A.J. ), I kind of miss Benza’s straight man complement to Kaplan’s comedic wit. The two had a great patter and banter back and forth over 5 great seasons of HSP, that I’ll miss. I guess we should give Kara Scott a chance though. Her sit-down chats with the players are a nice addition to the show, similar to the hostess talks with players on Poker After Dark. I guess the producers saw a winning segment and are trying to duplicate its success. Speaking of new additions to the show, I like that in addition to odds calculators, High Stakes Poker has begun showing the number of outs a player has, along with the specific outs (on the top of the screen) in showdown situations. This is a great educational add-on that is sure to please poker novices eager to learn more about the game. One small flaw with the current screen layout, however, is that it doesn’t eliminate cards we’ve seen dealt to other players in the hand – same problem for the odds calculator – but perhaps they’ll get that kink worked out at some point.